Valerian is a herbal sleeping aid that has been used for decades and has been well documented for its ability to safely treat insomnia. It is said to have a sedative and calming effect. Where Does Valerian Come From? Valerian comes from the root of the Valeriana officinalis plant, which is native to Europe and parts of Asia. It was then later introduced to North America. Sleep is no doubt very important for recovery and muscle anabolism. This is outlined in more detail in an earlier article "Muscle Growth & Sleep". Unlike pharmaceutical sedatives that will knock you out and make you groggy the next day, valerian may have mild sedative effects that promote natural sleep. Among many other active compounds, valerian contains gamma-aminobutyric acid (GABA), which is suspected of having a calming effect, as well as a potential to boost hGH release. The best known effect of valerian is its ability to help decrease sleep latency (ie. the time needed to fall asleep). When 400 mg valerian extracts were given to subjects, it was found that sleep latency and quality was significantly improved over those receiving a placebo (Leathwood et al, 1982). In the same study it was found that the effect of valerian was most pronounced among those who suffer from poor sleep. For those who have been diagnosed with insomnia, 600 mg valerian extract was found to be somewhat effective after subjects continued the dose for two weeks (Donath et al, 2000). The effect of valerian appears to be dose dependent, with evidence showing that 900 mg is more effective than 450 mg in improving sleep parameters (Balderer & Borbely, 1985). A review suggested that the effects of valerian may be better if taken over a period of a few weeks as opposed to a once off event (Stevinson & Ernst, 2000). Considering that better sleep is also associated with recovery and even testosterone production (Penev et al, 2007), it is always in your best interest to make sure you get a good night's rest after a hard training session. Side effects of valerian are rarely reported. In one study, it was actually found that the placebo caused more side effects than the valerian treatment (Donath et al, 2000). However, it has been recommended that valerian should not be mixed with alcohol or pharmaceutical sleeping pills (Hadley & Petry, 2003). Although there is evidence that valerian may be effective in treating mild insomnia and sleeplessness, it may not work for those suffering from severe insomnia. In this case, please consult a healthcare professional for other alternatives. The effective dose for valerian is between 300 to 600 mg root extract. If you are using an unextracted dried root supplement, this needs to be around 2 to 3 g. Consume valerian 30 minutes to two hours before bed (Hadley & Petry, 2003). Valerian can be found as a stand-alone commercial preparation. It can also be an ingredient in a herbal sleeping aid blend. 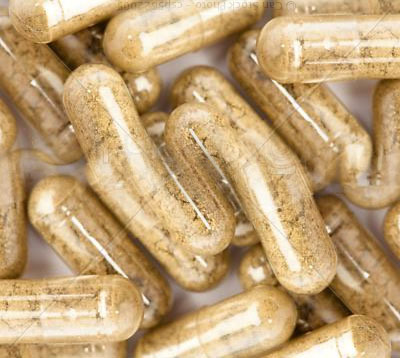 Valerian can be stacked with other pre bedtime supplements such as micellar casein or growth hormone supplements. Keep in mind that hGH supplements work best on an empty stomach, so it may be wise to take valerian two hours before bed, and hGH 30 minutes before bed. Balderer & Borbely (1985), Effect of valerian on human sleep. Psychopharmacology, 87: 406-9. Donath et al (2000), Critical evaluation of the effect of valerian extract on sleep structure and sleep quality. Pharmacopsychiatry, 33: 47-53. Leathwood et al (1982), Aqueous extract of valerian root (Valeriana officinalis L.) improves sleep quality in man. Pharmacol Biochem Behav, 17: 65-71.